Next Big Thing sired the fantastic profiled Res. 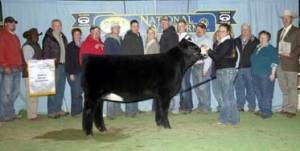 Grand Champion Female at the 2011 NWSS. He'll work super on the Dream On pedigreed females! 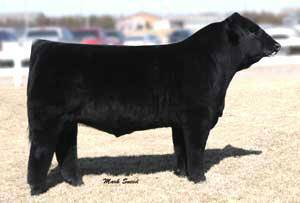 Next Big Thing, himself, was the 2007 Grand Champion Bull at the SD State Fair, and is a full sib to many champion females on the national levels. Homozygous black.